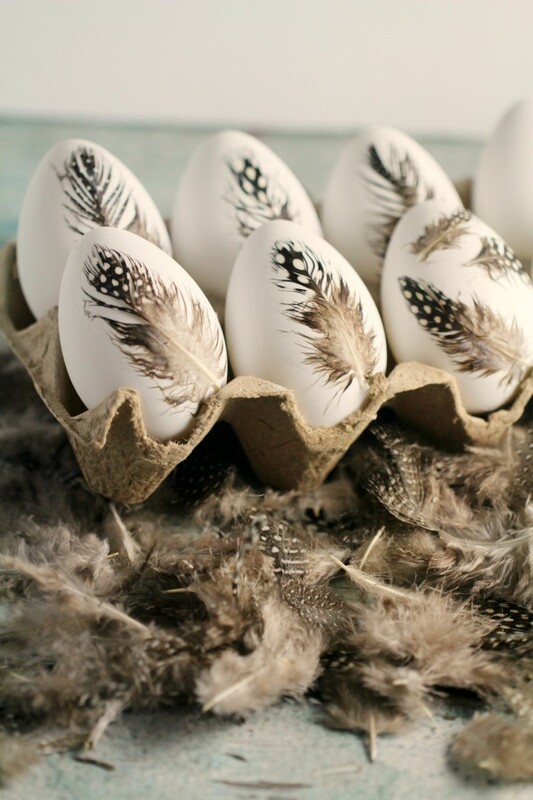 This feather Easter eggs are so calm, beautiful and Nordic-like! 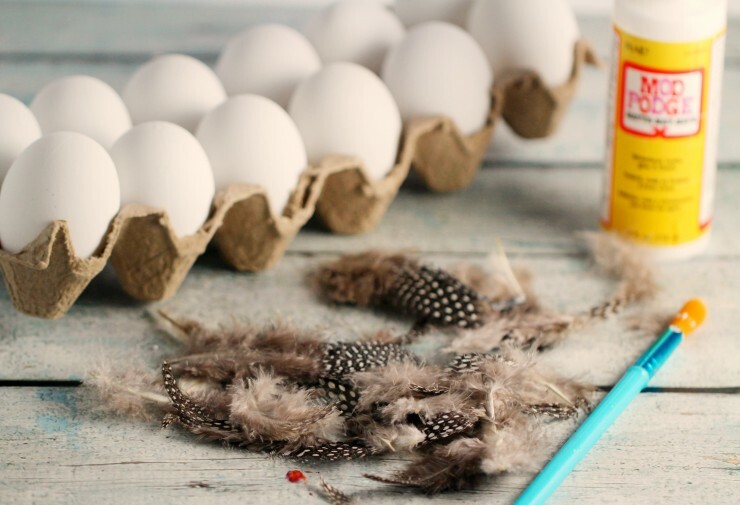 Prepare some dyeable, reusable faux Easter eggs, feather and pick carton. The project basically involves pasting down the feather with modge podge and a small foam brush being careful about the direction of the feathers as you brush it on. Apply a second coat after it dries. 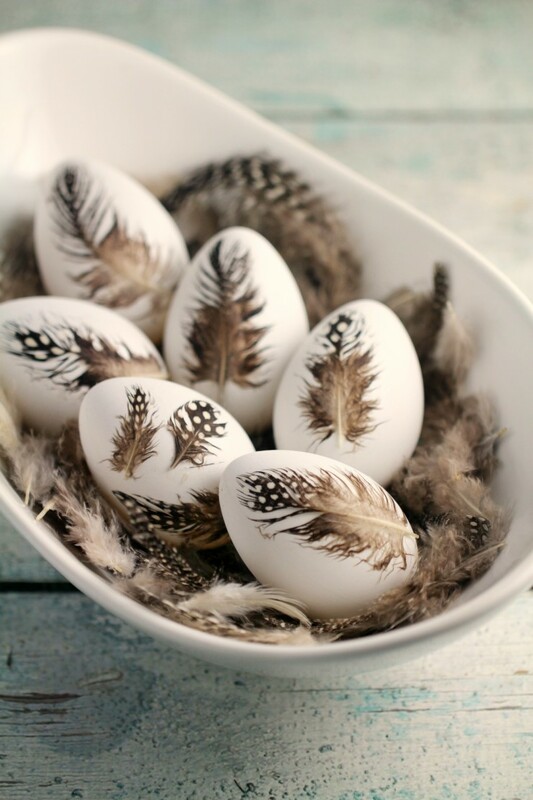 When you are picking out feathers to use, choose smaller eggs, and above all make sure the quill is thin and small so that it lays flat against the egg. 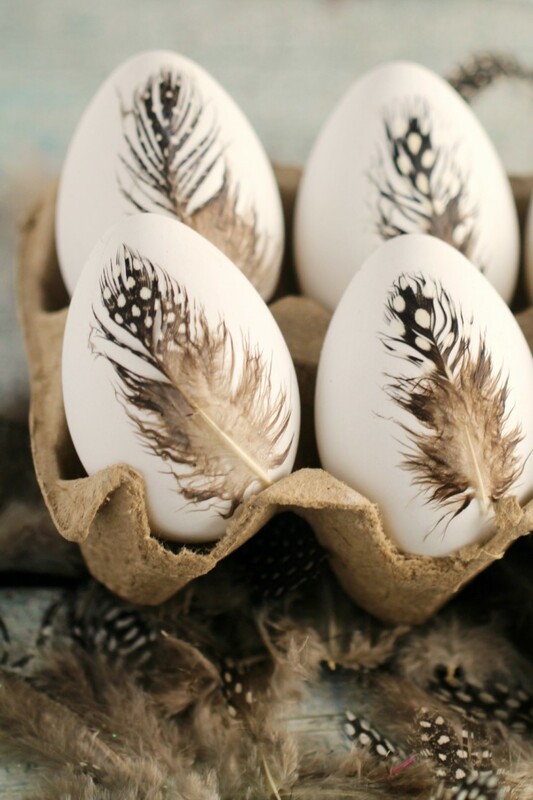 Now let them dry for some time and put into bowls for cute Easter décor.